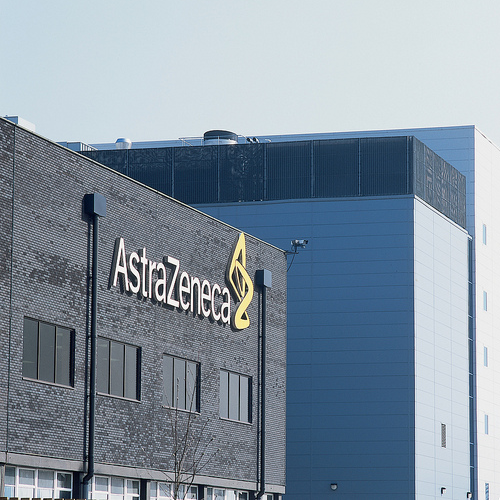 The Dividend Drive: BUY: AstraZeneca (AZN)--Healthy Future in Healthcare? BUY: AstraZeneca (AZN)--Healthy Future in Healthcare? I have been quiet this month with regards purchases. Since my last purchase of soft drinks giant, Britvic at the end of April I have not made any trades. This was for a variety of reasons, but the General Election here in the UK was one of them. Nonetheless, I was finally moved to make a purchase today in the FTSE 100 pharma mega-cap, AstraZeneca. It is facing a number of challenges. Several of its key blockbuster drugs--such as Crestor--are coming out from patent protection soon (or already) which will adversely affect sales. Nonetheless, it is clear that Astra's pipeline of new drugs does show great promise even if, as always, such things are far from certain. Nonetheless, Astra's CEO Pascal Soriot believes that a targeted $45 billion revenue by 2023 is likely (from $26 billion in 2014). I have been watching Astra for ages now and each time it sat at about this level I nearly pulled the trigger, wavered and then saw the share price shoot up. This time I thought it was time to dive in quicker for a purchase. I already have quite a bit of exposure to the healthcare (and specifically pharma) sector. About 12% of my portfolio was in that sector prior to this purchase. However, the entirety of that was in a huge holding in GlaxoSmithKline which I built up last year. I like GSK. It is a very strong company with an excellent yield and a solid consumer division which helps bolster income even through rough patent patches (like today). However, at 12% and a 5%+ yield it provided about 16% of my total dividend income. This, for me, is a little too much. If it had been lower I would have been tempted to top up my GSK holding rather than open a new one with Astra. Nonetheless, I did want further exposure to health companies. As classic defensive investments I am keen to bolster and diversify this particular area of my investment universe. So what did I consider instead of AstraZeneca other than GSK? Sanofi and Johnson & Johnson tempted me but as foreign investments caused some complications. A more likely option was the Polar Capital Global Healthcare Growth and Income Trust (incidentally, if anyone has any thoughts on this trust it would be very interesting to hear what you think of it). Ultimately, however, I decided that Astra was the current best purchase to join GSK. AstraZeneca is a slightly different beast to GSK. As noted above, GSK has a large consumer healthcare division (about 20% of revenue). In contrast, Astra is a much purer play on the pharma sector. I think this makes it a nice companion to GSK. In time, I would like to add a generic drug manufacturer to my portfolio to get a nice coverage of the sector as a whole. It must be said that, unlike GSK which is anticipated to see growth again from next year, Astra is looking a little less in solid health. That being said, a PE or around 16 does not seem too excessive for me. It is hanging around the same value as GSK is currently. However (unlike GSK), the year after does not look particularly better. A further drop in EPS is predicted here. Analyst seem unsure of what to make of Astra at this stage. Clearly, at least one analyst predicts an EPS rout to just $1.56 per share. This would be concerning but as it stands it seems to be an extreme outlier which I think seems a little overdone. However, taking the consensus as a better measure a PE of 17 does not seem too rich. What is more, I am buying this for the very long term potential of health companies like Astra rather than the short term prospects which--necessarily--wax and wane according to the boom and bust nature of blockbuster drug production. Despite short term lacklustre EPS predictions, Astra's dividend looks pretty solid. Most analysts believe that for the next couple of years the yield will be maintained at around $2.80 per share. This would yield about 4.08%. The dividend seems pretty well covered as well at about 1.51 and 1.44 times consensus earnings for this year and next. This seems pretty good to me and is certainly far more secure than over at GSK. Their growth record seems pretty solid as well. They declare dividends in USD and in the declared currency they have seen the dividend grow (or be held) since at least 2002. Indeed, between 2005 and 2011 the dividend more than doubled in value. Impressive stuff. Similarly, Astra still looks in rude health in general. It's debt to equity ratio is a modest 0.55. This is much smaller than in the case of GSK. As a result, financially AstraZeneca looks is very good health. What is more, being a highly cash generative business it looks more than able--for a reasonable amount of time--to cover it dividend and investment costs over the next few years. Overall, Astra looks to sit pretty nicely in my investing goals for the year. With a yield which should be around 4.08% this looks to nicely keep me on track to achieve a dividend yield in my portfolio of around 1.25 times the FTSE All Share yield which would come to about 3.98% at time of writing. Similarly, Astra has a very low Beta value of just 0.3812. This should keep my portfolio volatility nicely below the 0.8 I am targeting this year. My target of receiving £800 from dividends this year will be helped along a little by this new purchase. I have missed the bigger Final dividend payment. However, the Interim dividend payment later this year should contribute about £8.50 to the total. Not huge, but a nice additional contribution nonetheless. Also, although not as large as some of my other recent purchases the brokerage costs incurred by this purchase amounted to about 1.25% of my entire investment. this has kept me on track for my target of getting this figure for the year to below 1.3%. All in all, I am happy with my purchase. In the short term it is clear that Astra faces a lot of challenges. However, I do believe that over the medium to long term this should be a solid performer in my portfolio. I think Astra's a pretty solid choice. I don't own it at the moment but have done in the past and would do again. I guess the downside is that lack of growth, so it all really depends on if they can get their pipeline delivering again which obviously isn't easy. It's nice that it can throw off most of its earnings as a dividend, but then again it would also be nice if the dividend cover in recent years was a little better too. Good luck with this one and I may be joining you shortly. I know what you mean. Being such a pharma-focused company as well (unlike GSK) means it is even more volatile with regards earnings and has to rely much more on that pipeline bearing fruit as quickly as possible. I am pretty happy (but not ecstatic) with the dividend cover. Considering the period of difficulty they have been going through recently I think to still have such good cover (relatively speaking) is pretty good. Hopefully if they can deliver on EPS growth this should slowly but surely work back up to the 2 times cover mark. That would be ideal! I really do think that GSK and AZN together are well matched. If GSK is right that vaccines, consumer health etc. are the way forward they will do well. If drug development remains as lucrative in the past then AZN will. Whatever, I don't expect either to "lose" going forward. But of course, this is always possible. Hopefully see you on board AstraZeneca again soon! Will be interesting to see if anything comes out of this! Yes, I decided it was time to dive in and buy into AZN. GSK was--and still is--very tempting at current prices. But I am still of a mind that I am too heavy in GSK at the moment. Although it is down to 11% now. As I say, I like the fact that AZNs approach to future growth contrasts to GSKs. Both seem fundamentally sound but I am unsure which will be the most lucrative. Nice to have them partnered together! Nice right up DD. I've been watching AZN as I too thought they would make a good compliment to GSK. However, I'm planning on putting more cash into more investment trusts and one of them I'm going for does have AZN in its top ten holdings so that's what I'm going to go for first. Yes, I almost went for a IT with AZN on the top 10. In fact, it was the one mentioned in the post: Polar Capital Global Healthcare Growth and Income Trust. Your approach is a good idea. In reality, it was a tight run thing and I still think I will likely open a position in PCHG as it is a nice way of getting exposure to a really wide-range of international health stocks. As usual, so many alternatives to choose from. I expect AZN to serve me well though in the future! I like Soriot (the Gaffer at Astra) - he has really sharpened their focus since he joined. With a bit of luck he will stick around a few years longer and see them back to growth. In time, the dividend will start to grow again too. I agree. It shows that even in a massive company like AstraZeneca management can very much influence the success of the company (as if there was doubt!). I hope he remains to see the job through. I suspect he will. But, of course, he will be attractive to many other companies. Indeed, in Andrew Witty continues to underperform at GSK he may find interest from that direction too. You never know!